This rustic 3-D pine cone ceiling light will be a great finishing touch to your home. The Ponderosa Pine Cone Ceiling Light is Made in the USA. This rustic 3-D pine cone ceiling light will be a great finishing touch to your home. 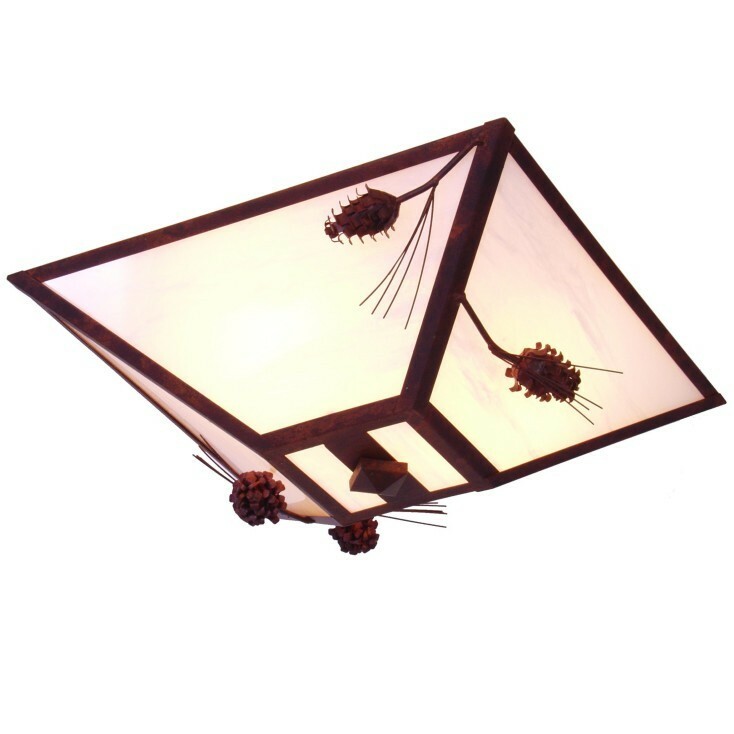 The Ponderosa Pine Cone Ceiling Light measures 17" x 17" x 9" and it uses two 60 watt regular base light bulbs. Made in the USA.